A statute of limitations is a law that limits how long you have to pursue legal action after an injury. Typically, the clock starts running out on your statute of limitations the moment you suffer an injury, although in some cases there are reasons why the clock might start running before or after the injury occurs. The statutes of limitations are laws that vary by state. To find out what the law is in your case and how it applies to your case, please contact us to talk to a local attorney. In most types of personal injury claims, there is a fixed statute of limitations, typically two years from the date of the accident or injury. In some states, wrongful death lawsuits have a different statute of limitations, usually longer than for personal injury claims. States usually have different laws for injuries that happen to children. Often birth injury and other types of childhood injury can be filed any time from when they occur until the child reaches a certain age (often age 8). After this age is reached, there is often an extended statute of limitations for childhood injury (such as 4 years), and in some cases children are allowed to file their own lawsuit for some types of cases when they reach age 18, regardless of when the injury occurred. Sometimes the clock doesn’t start running on your injury when it occurs. Instead, the clock starts running when you discover (or reasonably should have discovered) that an injury occurred. This type of statute is common for medical malpractice cases and other types of professional malpractice. Often, there is still an absolute time limit (4 years is common) beyond which you cannot file a lawsuit, even if you just discovered your injury. In addition to discovery statutes, most states allow the statute of limitations to be extended if a professional is actively concealing their malpractice. Tolling means that the clock is put on pause. There are a few reasons why this may happen. If you were a minor child (see childhood injury, above) when the accident occurred, the statute of limitations is usually tolled until you reach the age of majority. And then there is the “discovery rule.” Generally, the clock does not start to run until you discover or should have discovered that you were injured and that someone else caused your injury. The catch is, “should have discovered.” The discovery rule does not apply in all cases and even if it does apply in yours, it may not give you as much time as you think it does. A statute of repose is another type of limitation on when you can pursue legal action, commonly used to limit defective product lawsuits. In a statute of repose, all lawsuits related to a particular cause are prohibited after a certain date. It’s common, for example, for all defective product lawsuits to be barred after a product has been on the market for a certain length of time (10 years is common). Failure to file a lawsuit in a timely fashion is typically an absolute barrier to getting compensation. 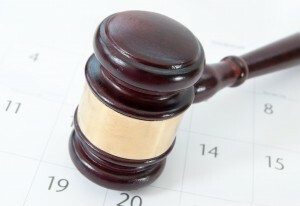 It is rare to be able to overcome a statute of limitations bar on your lawsuit. If you have been hurt and are considering a lawsuit, it is best to act quickly because you do not know how long it will take you to choose a personal injury lawyer and make important decisions about how to pursue your case. To talk to an accident attorney, please contact us today.